Why continue staring in frustration at your tired old jewelry? 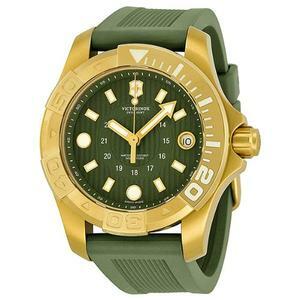 Beautiful and dazzling, men’s Military watches are a superb means to make a social status statement about yourself. Consumers take advantage of the loveliness and physical appearance of these men’s Military watches. Look for the right gender and material from the different listed items to get what you desire. 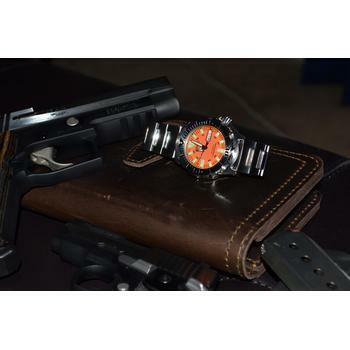 In addition, men’s vintage Military watches can be purchased from all over the globe. Discover all the ideas and facts about the best military watches and what makes them the best in the world. In this article we are going to focus purely on selected brands that are considered as the best of the best. Who Make the Finest Military Watches? ISOBrite is the first T100 lightweight polycarbonate watch. Plenty of good reasons make this the most superb military watch. First and foremost, it is powered by lithium battery that needs replacing no sooner than 10-years. Simply, this means that you can forget about going to the watch repair shop for any battery replacement. I’ve had few watches that last more than 10-years, but they are exceptional watches. Honestly speaking, I’d consider a watch that can last for 10 years to be good enough investment. From the way I see it, the Armourlite ISO100 is a virtual automatic watch that requires no battery replacement during its entire life. The case itself is made of sapphire crystal. Compared to the cheaper acrylic or mineral crystal, sapphire crystal gives a guarantee of toughness. Being tough means you can expect it to survive bumps and bangs where acrylic and mineral crystal counterparts will not. One feature that owners of ArmourLite ISO100 like to rave about is its superior illumination brightness. A check with all other watches that I have (G-Shock GWA1000FC-1A and Luminox 3083 are amongst them) confirm such claims. A quick check on how this is achieved attributes to the use of radioluminescence (compared to bioluminescence). There is nothing new with the technology though. Just that it’s used less commonly in watches. It’s a technique used in most ‘EXIT’ sign. With this technique, brighter glow is achieved simply by injecting more Tritium gas. Oh by the way, the brighter glow is not the only thing that makes ISOBrite T100 so loved among owners. The mixed use of green and orange colors make it really stand out among other watches. But do keep in mind that the orange markers are notably less bright compared to the green. So, if you notice this on your ISOBrite T100, don’t panic. It’s not a defect. It’s meant to be that way. It is definitely not just the brightest watch available but also one of the best when it comes to style and looks. The color of the case and dial is black while the numbers are white making it much easier to tell time in just a glimpse. I would have given the Armourlite ISOBrite T100 a perfect 5 stars if not for its waterproofness. This watch is specified as 200WR. However, I took it on a dive to 30 ft under and it had condensation issue. Damn, I thought! 24-hours later, before I was about to contact the customer service, I saw the condensation disappeared. So, if you’re looking for a dive watch for your scuba diving adventure, this might not be for you. Given its aesthetically nice features, the ArmourLite watch is very sturdy and reliable. Its main selling point though is its beauty. 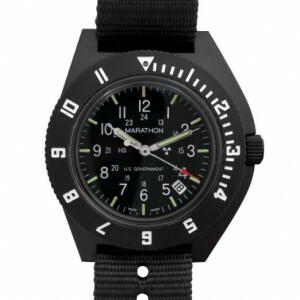 It is one of the best looking military watches out there. Having one on your wrist will truly have a lot of heads turning your way. 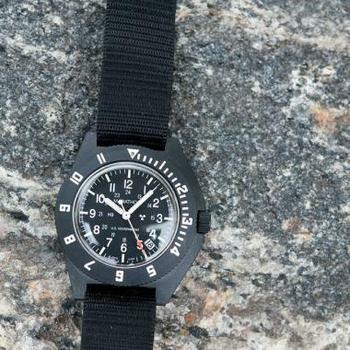 Everybody gets excited in getting their hands with this new watch model, not only because it is an authentic military watch intended for dive, search and rescue. The watch itself is completely luminous making it possible to tell time even if you’re under water. The toughness of the watch is simply amazing. Otherwise, it would not have made it to the US Army product supplier list. The sapphire crystal makes it super resistant against scratches and other physical damages. Special features such as the uni-directional bezel which is equivalent to 120 clicks. Being water resistant at range of 300 meters below sea level makes it the ideal watch for diving, search and rescue (SAR) operations. Is this enough? To get an idea, the U.S.A.F. Combat Diver course provides training to depths of 130 feet. So, whether 300 meters is enough, it depends on your needs. For most people, it is more than good. 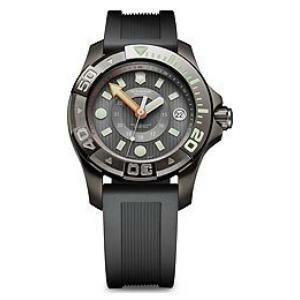 Marathon Military Divers LGP Wristwatch is one of the best military watches in the market. 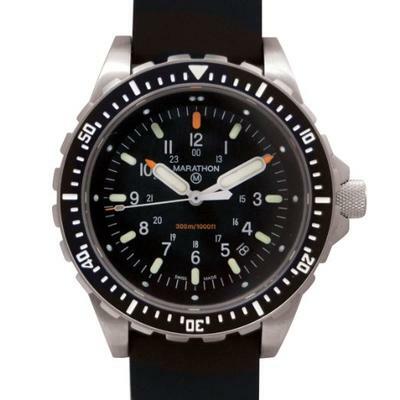 With a lot of rave reviews online, the Marathon Military Divers watch proves to be a must-have for anyone who wants to own a military watch. 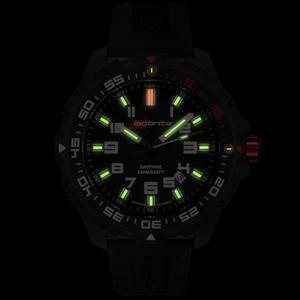 Most other watch models use luminescent paint that has to be powered by a light source and fades very quickly, or a “push to light” system, where you have push a button for battery-driven illumination. 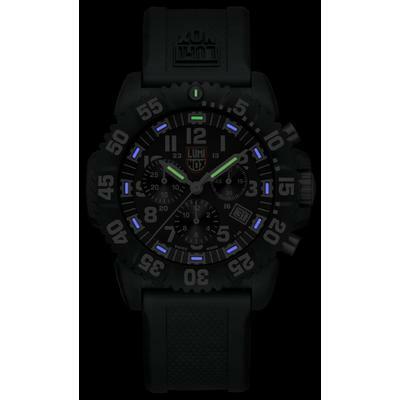 Luminox, however, uses proprietary technology, in the past reserved for the military, that makes Luminox watches stand out, literally. 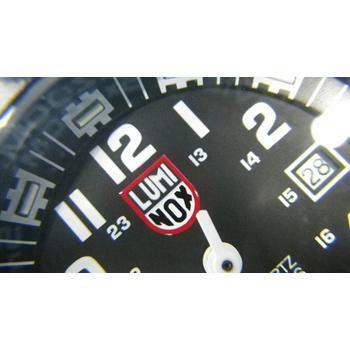 Each Luminox watch features tiny gas lights, which are always lit, on the hands, hour markers and when necessary, bezels. As a result of this unique technology, Luminox watches are always readable at a glance, no matter the conditions. 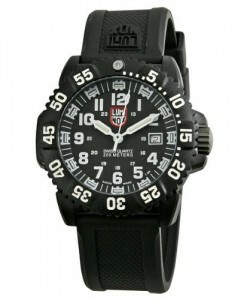 If you want to feel that “military vibe” when you wear a watch, the Luminox 3081 is a great watch for you. It represents exactly what a military watch should be. 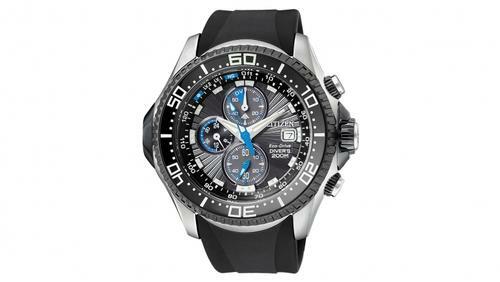 Its advanced technology also serves as a great advantage compared to other watches. It is technologically advanced and also beautifully designed. Its durability is also one of its strong points. All three of the watches featured here are great military watches that will absolutely be worth every dollar. The choice is yours to make. If you want to have a military watch that you can wear anytime and be proud of what you wear on your wrist, then you can’t go wrong with any of these three. 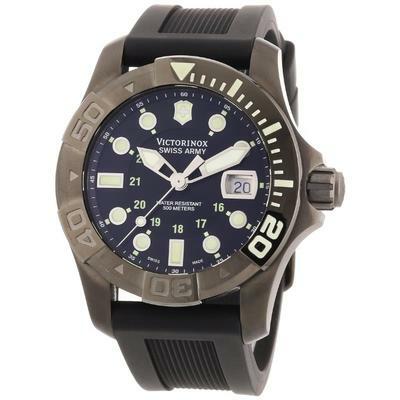 Now that you’ve seen some of the finest military watches that are currently available, what do you think of them? Have you made your pick? If you are still searching for more tough watches ideas, check out what rugged analog watch options are available for $200 and less. 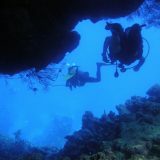 Diving is one of the most exciting activities one can ever experience. 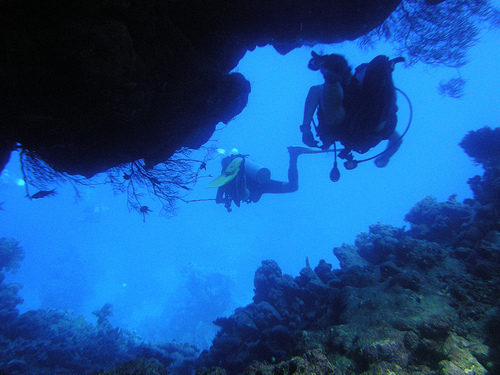 There are people who dive not only for fun  but as a legit routine. Some even consider it as a lifestyle. If you’re one of those people who take diving seriously, then you definitely need to have a dive watch! 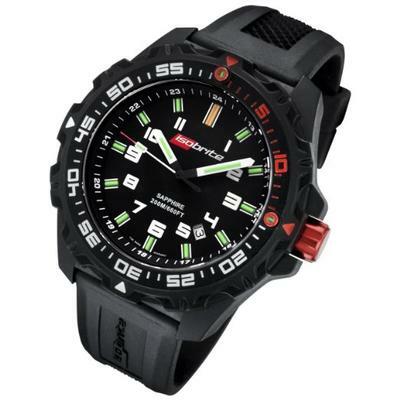 The best dive watches are those that are made specifically with the needs of divers in mind. A proper dive watch has to spell out few basic technical specification. It is a dive watch! The first and foremost criteria that anyone would be looking at is definitely the maximum depth that the watch is designed and tested for. But wait a minute. Does it always mean that the greater the number, the better it is? The answer turns out to be rather simple. Do you remember the bell curve that’s used to describe normal distribution? It turns out that relationship between the best dive watch and depth specification can be described by similar bell shape curve. Unless you’re talking about casual diving that goes not more than 5-6m down, then a good watch made for diving has to be able to withstand at least 10 atm. This is equivalent to 100m. As you can see, a watch that is specified as 50m water-resistant is definitely better than one that is specified as 30m. The same is true for 100m and 200m. But 1000m? It definitely shows the toughness there. But I think it is more of a marketing bullet rather than a useful feature. Ask yourself what is your maximum dive record. Unless you are going for technical diving or professional diving, anything that is more than 50m works just as well as far as depth requirement is concerned. How Bright will it Light Up? We don’t need anyone telling us that as we go down deeper, the amount of sunlight will be diminishing. What many people tend to know less is the term Euphotic zone that’s used to describe the zone where there is still enough sunlight for photosynthesis to occur. The thickness of this zone is very much dependent on the water clarity condition. In clear water, the zone can be as thick as 200m (660ft) down under. In murky water, the zone can be as thin as 15m (50ft). So if your typical dive depth is more than 10m, and you need to rely on your dive watch for certain information, then you want to make sure it has a good illumination property. Most people tend to focus only on the maximum brightness. However, it is equally important to ask how long such brightness can last before the illumination is lost. You don’t want the illumination to go off before you’re done with your dive. Sea water corrodes! That’s a fact. Now, if you intend to take your wrist watch for a dive, corrosion is definitely something you need to be concerned of. A common mistake made by dive watch hunters is to overlook this important point. They think stainless steel is just stainless steel. Nothing more, nothing less. Wrong! Stainless steel comes in many grades. Certain grades are cheaper than others. Certain grades are harder than others. Certain grades are more resistant to corrosion than others! 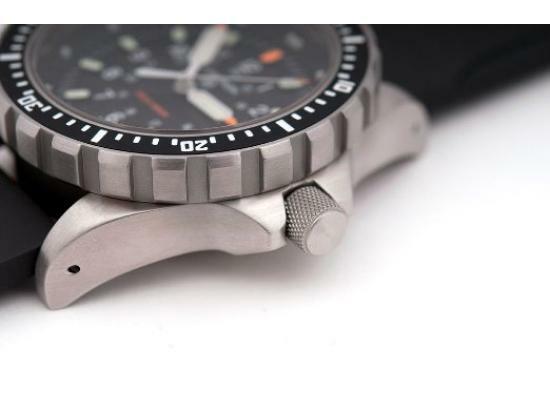 It is not always straightforward to find out about the stainless steel grade used to make a dive watch. 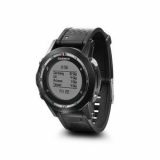 That’s why selecting the best dive watch is tricky and information as such can only be found by going through the right reviews. When you are diving you can only rely on your skills, instincts and timing equipment. 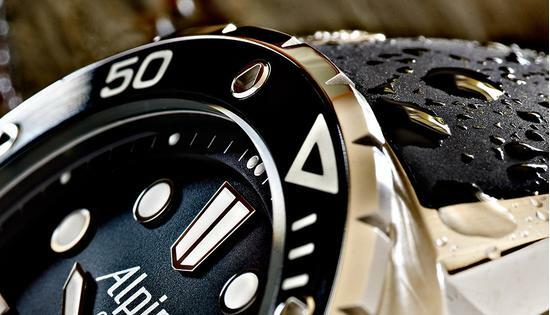 Alpina Diver watches feature a counter-clockwise single directional rotating bezel to measure dive time. The notches around its edge allow for a perfect manipulation with diving gloves and its 1-60 minutes markers are Superluminova coated to ensure readability in low visibility conditions. 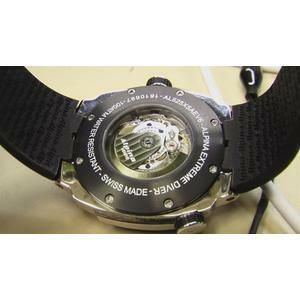 Dive after dive your Alpina Diver automatic movements will always be protected by the built-in helium release valve. This allows the helium to escape from your watch during your ascension decompression stops. In addition to their professional diving functionalities and the extreme reliability, Alpina Diver watches feature a see-through case-back through which their finely decorated movements can be observed. 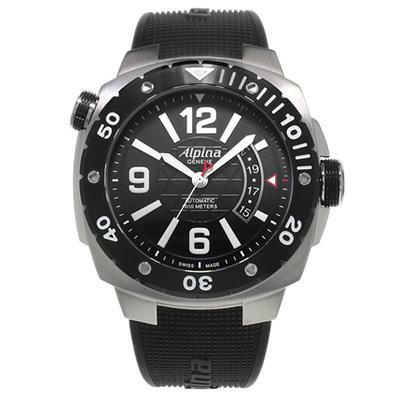 Alpina Diver has been getting rave reviews from a lot of customers due to its functionality and great style. 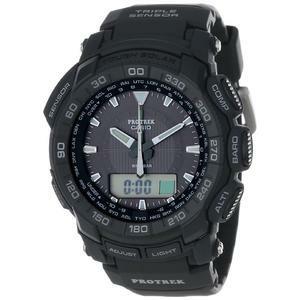 It is a watch that has proven to be handy and reliable at all times. Given its price point, you will only consider getting this watch for 2 reasons. You are either a real professional diver who is looking to break Nuno Gomez’s scuba diving record or you simply love the style of the watch and has a bottomless pocket. If you are looking for a dive watch under $1000, the Alpina Extreme Diver 1000M is definitely not what you want to be looking at. 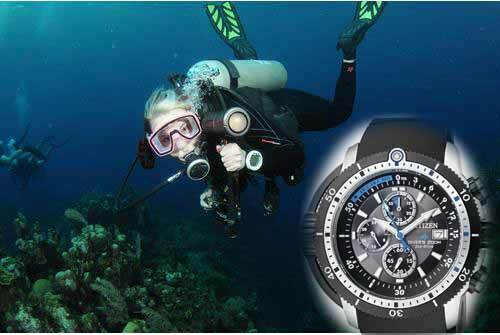 But if you are serious about finding the best dive watch and price is not a concern, lucky you! If the price of Alpina is enough to piss you off, you may want to skip Rolex Submariner. Unless you’re ready to part with thousands of dollars of your hard earned money, there is really no reason to go this far. But maybe you’ve just got yourself a big pay bump. Or maybe you’re getting more serious about diving. And you start to notice that your Casio G-Shock may no longer suits your image. Whatever it is, Rolex Submariner is one of the ultimate choice when it comes to dive watches. When we’re talking about a Rolex, brand name certainly makes up significant proportion of the price. Show anyone your Rolex Submariner and it’ll for sure spark exciting conversation. You’ll soon find yourself the center of attraction. 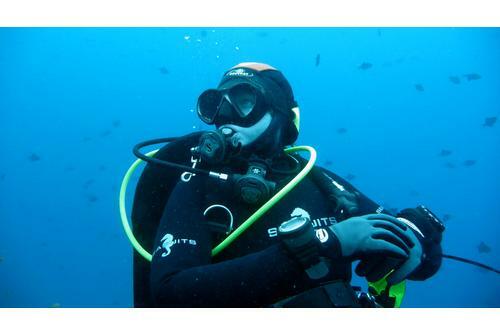 But putting brand aside, what is it that makes the Submariner such a fascinating dive watch? That Oyster case! Inspired by Mollusca, one of nature’s most amazing creation, Rolex Submariner features the brand’s patented system of screwing down the bezel, case back and crown against the middle case. What do you get out of this? A robust and airtight (a.k.a hermetic) watch casing that will protect its fine movement from water, pressure or dust. High Grade Stainless Steel! Unless you’re contented with freshwater diving(click to see the best freshwater caves in America), corrosion is one thing that you want to protect your dive watch against. Not all stainless steels are made equal. 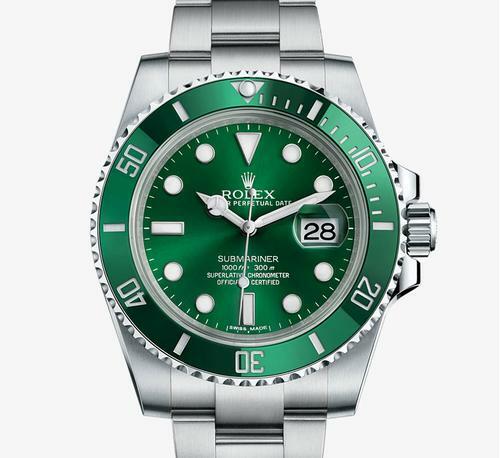 For Rolex Submariner, 904L high-grade high corrosion-resistant stainless steel is used. In short, if your Rolex Submariner corrodes, no other watch would last. There is still lots to talk about. But since our topic of discussion is on finding a good dive watch, let’s limit our discussion only on the features that are important to a diver. The name Glycine does not strike too common a chord among many tough watch seekers. But speak to any tough watch purist and they’ll tell you what the name Glycine stands for. In 2014, Glycine will turn 100. This will make the brand among the rare few of centurions. 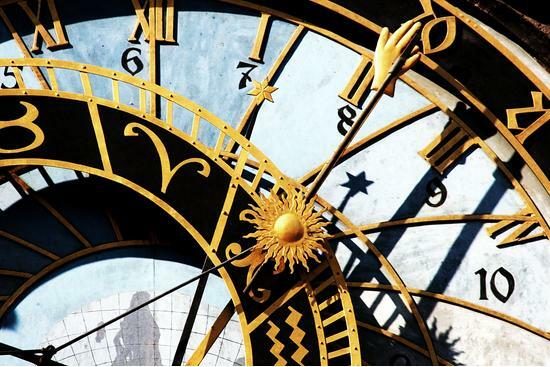 Do you remember any watch company with a history longer than this? Unless you are a horologist, I bet you wouldn’t be able to come up with any name. No, it’s not your fault. Glycine is after all, not a mainstream brand. Only the purists who are seeking the finest qualities in their watch would go the extra mile and discover the brand. For more than half a century, Glycine watches have been trusted by the tough professionals. From fishermen to foresters to builders. 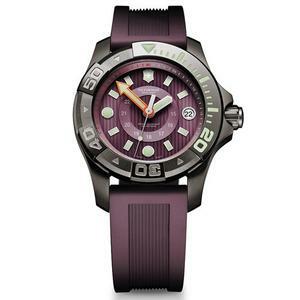 First introduced in 2001, Glycine Lagunare dive collection was recently refreshed. The Lagunare L1000 is highly sought after by both dive and watch enthusiasts. As its name implies, the watch is designed to take on depth of up to 300m (1000ft). With Glycine Lagunare L1000, you have the option between automatic and chronograph. Personally, I love the stainless steel automatic with blue face dial (3899.18.1) more than the rest. The name Tag Heuer certainly needs no introduction. Even the most casual watch seekers would have heard of the brand. From Formula 1 racing to WRC rally. From sailing to tennis. From Ferrari to Mc Laren. Tag Heuer has been through it all. From being the official timekeeper to being official sponsors. It is no wonder that everyone is familiar with the brand. 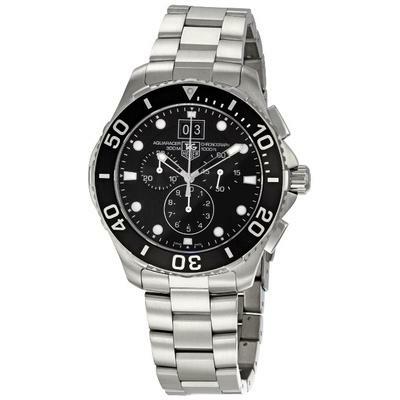 Tag Heuer Aquaracer is such a great watch. The brand reputation speaks for itself. To me, what’s interesting about the Tag Heuer Aqauracer is not knowing how great a watch it is. 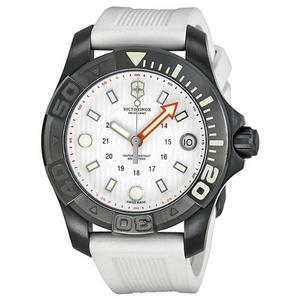 But it is the story and efforts that have been poured into the making of every unit of the Aquaracer. The brand has officially appointed Leonardo Di Caprio as its ambassador. One product of the partnership is the Tag Heuer Aquaracer 500m Leonardo Di Caprio limited edition. Now, if you’re an environmentalist or someone who’s concerned about the health of Mother Nature, you’ll be delighted. This limited edition collection generates royalties for the Natural Resources Defence Council (NRDC) and Green Cross International. 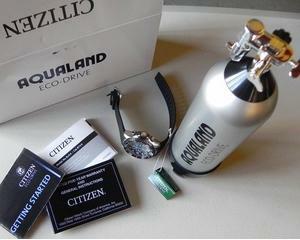 What can be better than buying a great watch and knowing that you’re actually playing a part in saving the environment? 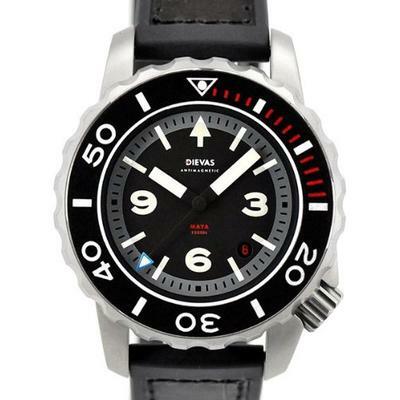 If there is any dive watch that doesn’t look like most other typical dive watches, it would be Dievas Aqualuna! It is one of those watches that feature simple and clean look but yet still deliver where it matters most. Starting with design, do you know that it is more difficult to come up with beautiful design that’s simple compared to complex design that’s full of crap? With oversize markers and maximum contrast, it makes reading your watch such a breeze. Add the use of Swiss Super Luminova on the hands and you’ll have maximum readability when you’re underwater. 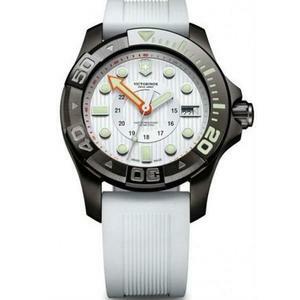 Its 1,000m water resistant is definitely more than what 95% of divers could ask for. And the best part? It’s a Swiss-Made! 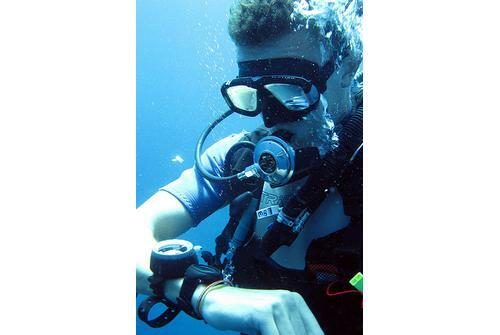 Squale is another professional dive watch specialist. Again, unless you’re true dive watch enthusiast and you’re looking for your second or third watch, you’d probably have not heard of the Squale brand before. Squale is another fine Swiss watch maker. Its history may be only on the halfway mark of Glycine, but six decades is still considered long. 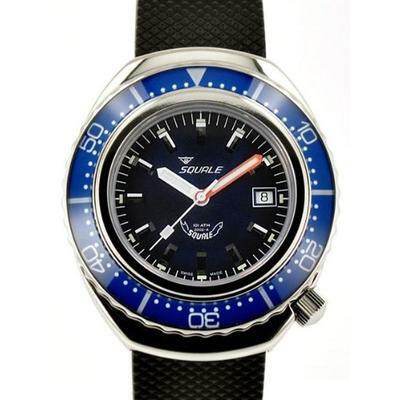 Squale Professional Diver 2002 series is one watch that’s been designed by diver for divers. Just like all the top-rated diving watches you find on this list, Squale 2002 boasts 1,000m depth resistance. 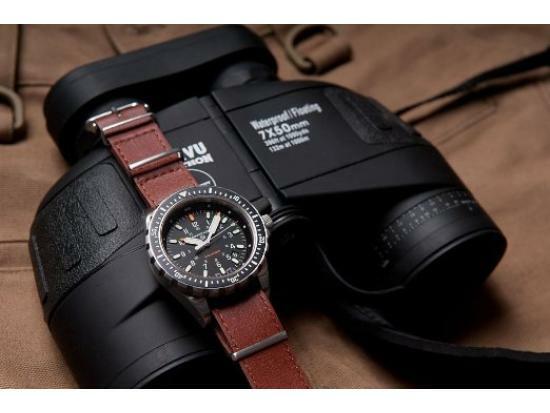 What you’ve just seen are some of the finest dive watches that you can ever find. Some of the brands you’ve just seen are true professional dive watch specialists. They are names that you seldom hear when you talk to guys on the main street. I have to say these watches are extremely unfriendly to the pockets of average Joe. But that’s what everyone loves when they decide to spend thousands of bucks for something. Exclusivity! With the coming of the digital era, a significant portion of our life has been undergoing digital transformation. On one hand, the benefit of digital technology is clear as it helps improve our productivity and efficiency. Yet, certain things existed long before the coming of digital age and they are certainly being missed. In most cases, we missed them because of the aesthetics or uniqueness that is becoming less common in the world of digital. This cannot be more true than in the world of watches. The oldest watches were analogue. Analogue watches have a stunning beauty of their own. They represent simplicity and elegance. One look at the analogue watches, offered by famous brands, such as Seiko and Marathon, would confirm the fact. 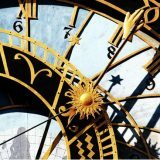 Timekeeping with analogue watches actually keeps certain faculties of our brain active which is almost entirely left out in the world dominated with digitized information. It seems trivial but there is so much to learn as we hunt down the world’s toughest analogue watches. There are still a large number of watch afficionados who still stick with their analog watches for various reasons. Some love the sheer beauty that cannot be found in digital watches while others simply love the ticking sound of the hands on their watches. If you’ve been thinking that you cannot afford a decent ‘tough’ analog watch for $200, think again. After a process of intensive watch hunt, I’m proud to present you the 3 best tough watches you’d be proud to own. And the best part? These watches cost less than $200. It is very tempting to jump straight into the discussion. But let me first highlight one imporant point. Just like in professional sports, boxing for instance, it is not fair to pit every boxer against each other. There are boxers who are naturally of smaller built while there are those who are naturally of more gigantic built. It is only fair to divide them into different weight classes. Each weight class will have its own champion! The same is true when we are picking the World’s most rugged analogue watches. What good does it do to you to know of a watch that beats every other watches in terms of toughness but only to cost thousands of dollars? 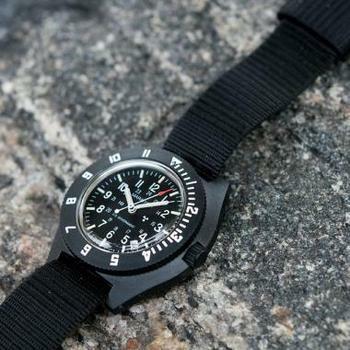 For this reason, we’ve grouped all the rugged watches that we could find based on their price tags. 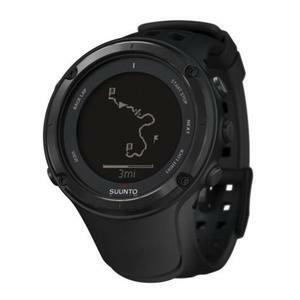 In this edition, we are going to pit every watch – either claimed to be tough or recognized as being tough by real users – with a price tag of $200 and below, against each other. Ready for some action? Let’s start. 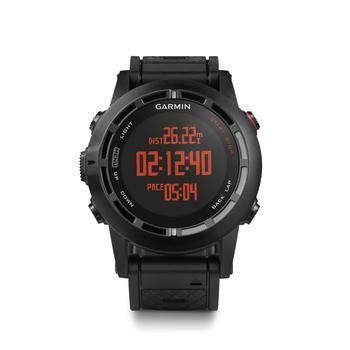 Are you looking for a watch that fits into your budget but still offers immense toughness and design? If you are, Seiko Orange Monster SKX781 is the perfect choice. Price just slightly below $200, this is a super affordable watch. Superb price. Excellent toughness. Simply elegant. When you put Seiko Orange Monster SKX781 on your wrist, the first thing that will make you reluctant to take it off is its perfectly sized and weighted case. Too small it will make people wonder if you are wearing your wife’s watch. Too big it will be awkward. Too heavy it will be uncomfortable wearing it. Too light it will feel like a ‘toy watch’. Don’t be deceived by its simplicity. Tough watch afficionados called this watch a classic example of ‘brilliant tough watch designed to perfection on every little detail‘. The one way rotating bezel also has a very nice design which is part of the global design of the watch the inward curving will protect the actual surface of the bezel and the bezel will protect the crystal and is also a very smooth moving bezel and the 120 clicks are relatively well aligned. The crystal is rather large and domed but it is a rather strange material listed as Hardlex in some Seiko descriptions. It is not a normal glass but a type of hardened crystal mineral that is used exclusively in Seiko watches. The debate between Hardlex and Sapphire crystal has been raging on and you will find mixed opinions on this. Generally speaking, Hardlex is more impact resistant compared to Sapphire but it is less scratch resistant. I know some would whine with the fact that it is still not a sapphire! But let’s face it. It is almost impossible to get a high quality tough watch made of sapphire crystal and still cost you $200. If you have it, let me know. In my opinion, any comparison that ignores the price variable is definitely not a fair one. 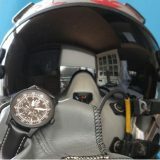 Unless the metrics are properly defined such as impact resistant per dollar value or something, I would think it is best to assume that it is one of the best material one can get for a tough watch that is going to cost $200 or less. I know not everyone will agree with me in crowing Seiko Orange Monster SKX781 as the toughest watch champion. But I bet those who disagree will be able to come up with better candidate than this one. Seiko’s track record speaks for itself. Given the company’s previous history of producing some of world’s legendary watches (eg. 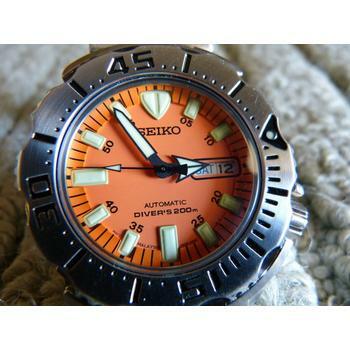 Seiko BFK SKA371), investing in the Orange Monster SKX781 carries with it less downside than upside. The next contender is Marathon WW194013. 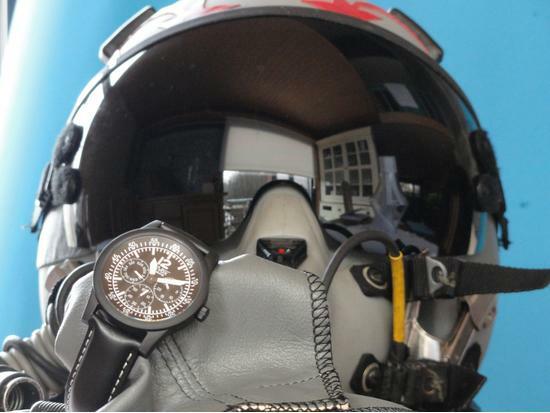 The watch is widely used in high altitude operations in the military and law enforcement. 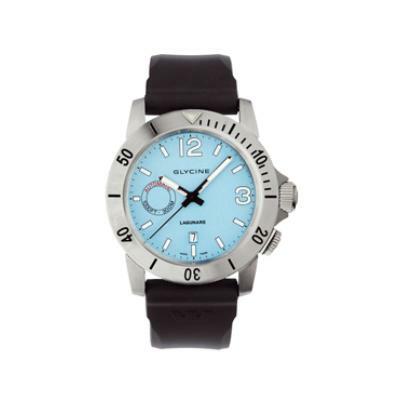 It has a Bi-Directional Time Zone Ring which makes it ideal for tough situations. The most basic features of the watch are the analogue dial with two time scale and are completely water resistant. The stop second feature is specially made for high torque movement. The casing is a fiber shell high impact waterproof and dustproof case that has a stainless engrave back and it uses Hesalite crystals to counter excessive external pressure changes making it to be known as one of the world’s toughest analogue watch. Just to give you a bit of perspective, Hesalite is a trademark owned by Omega and according to the official site, this crystal was chosen by NASA in place of Sapphire crystal because it does not break into fragments on impact. Marathon truly shines with its sturdiness and longevity. Thanks to its waterproof and dustproof features, you are getting a watch that can withstand the rough and rugged lifestyle (if ever you do have that kind of lifestyle). 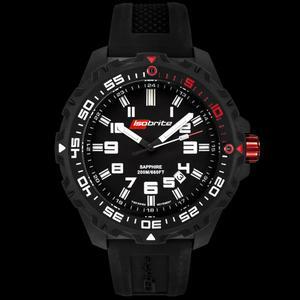 The main features of the Luminox Evo Navy SEAL 3051 are the carbon reinforced polymers which are injected in the case itself. The 44 mm case diameter makes it an ideal watch to handle heavy situations. The black carbon reinforced case back secured with stainless steel crews gives the watch the toughness it needs to be considered as one the world’s toughest analogue watch. 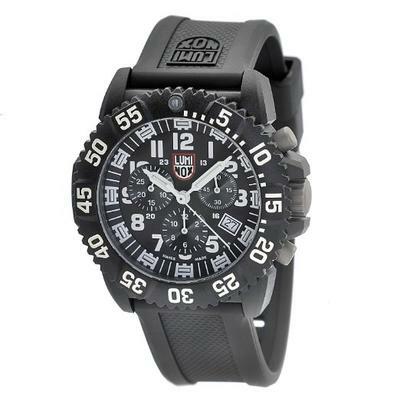 While Marathon WW194013 boasts NASA’s chosen Hesalite, Luminox has a reputation of making watches that are worn by the World’s most elite force, US Navy SEAL. 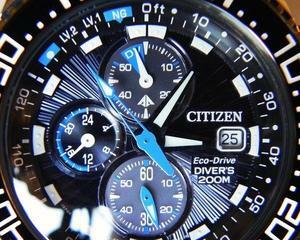 Like all other watches it is also water resistant and has a battery life of 45 months. 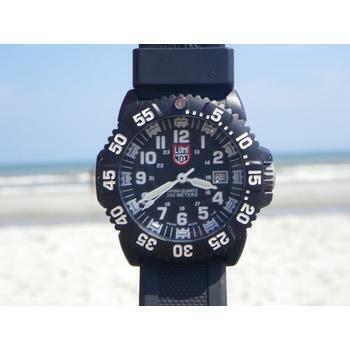 Obviously we need a watch that could definitely last for period of time and comes for just a very affordable price, Luminox Evo Navy Seal 3051 is the perfect fit for such description. Many people made a mistake by thinking that the best tough watch cannot be that good. I beg to differ. After seeing these 3 great choices, I think you would too. 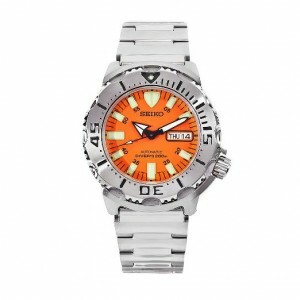 Personally, if I had only $200 to spend, Seiko Orange Monster SKX781 is my clear choice. But if I can afford to buy all (I’m still waiting for that day to come), I would definitely snap them all and add them to my wardrobe collection.